I had always wanted to stay in an Italian home. 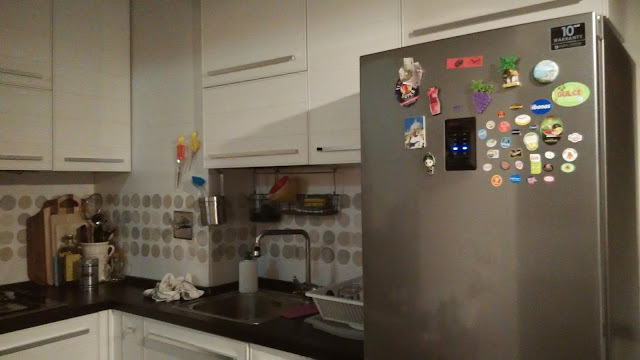 We had our first taste of living in someone's home in Sofia Apartments, Istanbul. That was such an enlightening experience that we decided to do it more. I mean what is the best way to get an insight about someone's culture? Not possibly living in a hotel! So enthralled by our first B n B experience, we booked B n Bs in three cities in Italy. 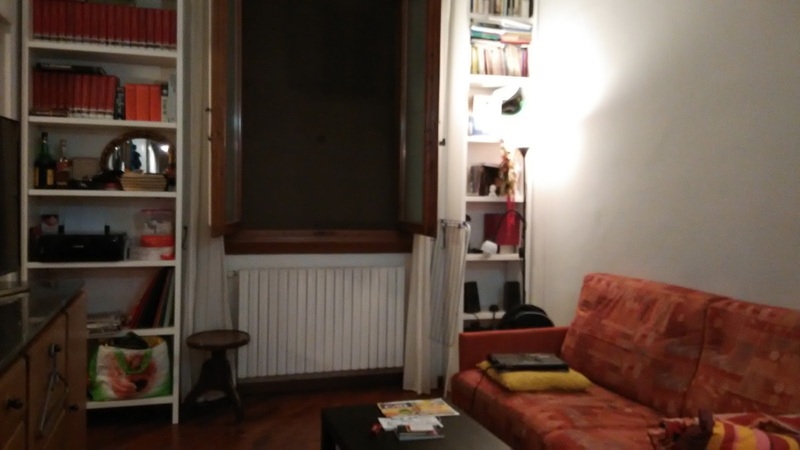 Our first such stay was in La Spezia which was not the kind of experience we were looking for. It was kind of a hotel only with no peek into the host's home and no real interaction with the host. 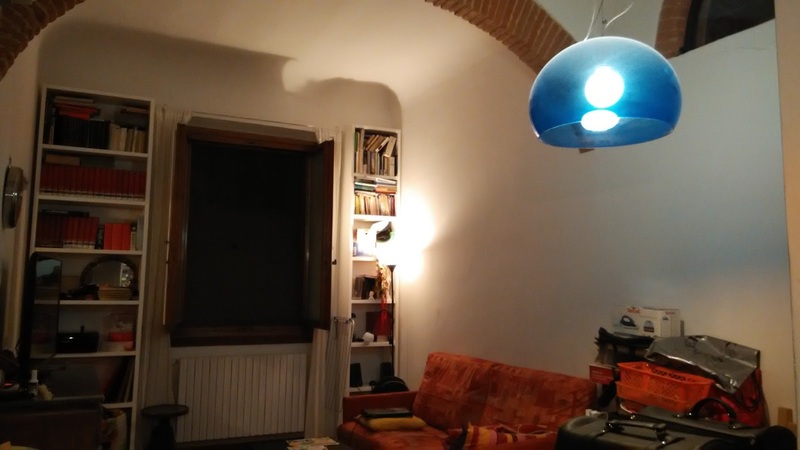 Our 'real' Italian style living happened in Florence. But just like our Istanbul stay, this too started with hiccups. Our train reached Florence at around half past twelve and we reached the designated place after twenty minutes. It was really near to the Santa Maria Novella station but we got weighed down by our heavy luggage and walked slowly. Also asking for directions contributed to being late. When we reached the street, I was impressed by the line of high stone houses. I mean I had always known about the Tuscan stone houses but the thought of staying in one of them made me jump in joy. I hail from the city of skyscrapers ( Noida, Gurgaon et al) but those are modern day buildings. Here in Florence (and earlier in Rome and La Spezia) even a five storey stone house seemed old world and beautiful. We searched Alfredo's name (our host) on the doorbell list but could not find him. We then tried ringing the ground floor but no one answered. We somehow could not reach him on phone. We looked at our booking sheet again. The address was absolutely correct. Why do we always have problems with B n B's? There was hardly anyone in the neighborhood (it was Sunday after all) and whosoever was there, was of no help. Then we spotted a gentleman on his run. He looked sweet and we approached him with the address. He was panting and his respiratory rate took time to come back to normal. But he did not speak English. I struggled with my novice Italian. He called up Alfredo on his phone and all our doubts got solved. Alfredo lived on the fifth floor and it was by other person's name; very obvious why we could not find him. He clearly said that the doors would open at 2 pm. That meant one more hour of waiting. Gosh. We sat on the steps of the building. With so much luggage around us and being dark skinned, we looked like perfect refugees :D I became hangry (very obvious) Hubs went to a nearby Egyptian restaurant and got me the most delicious chicken burger. I drowned in the mayonnaise (it had been quite a while to have tasted such kinda fast food ) and swallowed my exhaustion and frustration. The clock struck two. We started buzzing the fifth floor (now that we knew) but no luck. We were now hopeless. Hubs went away to call him from a payphone while I waited on the steps. I spotted a man opening the gate with a key and I asked him about Alfredo. He said he spoke little Inglese and I said that I spoke little (poca) Italiano :D He shocked me when he said that no Alfredo lived here! Then from a distance I spotted a tall man with a pitbull coming towards me. He introduced himself as Alfredo with a warm smile but I was not ready to smile yet; though I was relieved. It was quite a task climbing all those stairs! Within some time hubs also joined us and we dragged our heavy luggages to the fifth floor. Alfredo was a driver by profession and he had to work even on Sundays. His house was clean and oozed warmth. Our room was minimalistic yet lovely. It was sort of a penthouse as Alfredo's room was on another floor. His refrigerator had tonnes of fridge magnets...just like ours! For the two days we lived, it was like the entire apartment was ours. 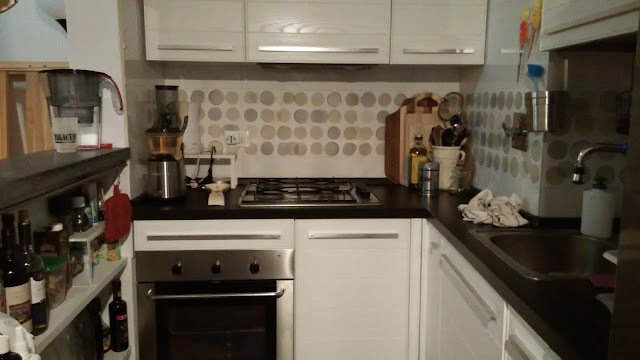 We cooked instant noodles in his kitchen, made coffee and had soundless sleep. No barking from Nina's side. I loved his entire home but particularly the large windows.I absolutely cherish our experience of Italian style living .